It’s a tale we’ve handled all too often: An employee leaves an organization, and all of the important logins were in their name and email address. When the company deletes the former employee’s email address, all access to those accounts (and the ability to send a password reset email) are gone. I’ve used various tactics to gain access to these critical logins: Calling past employees to ask if they remembered the password. Spending hours on support calls explaining that our clients needed their email address updated. Just guessing common passwords. Sign up for all online accounts with a general digital email address that is never deleted. This email address should be set up with its own inbox. It should also be set to forward to the person in charge of all online properties. This person is often the company general manager or marketing manager. All online logins for the company should be registered with the digital@companydomain.com email address. Note that Facebook and LinkedIn require a personal profile to create them, so this advice does not apply there. Make sure the company owner is listed as an “admin” on these accounts. One company we work with terminated their marketing director shortly before we began working with them. What we discovered was that all of the company’s online profiles (Twitter, Analytics, Instagram, everything) were created with his email address. He had a password sheet that he passed along before his last day, so thankfully we were able to access most of the accounts. But, we had to log into and change the username on every single account to no longer use his email address. It was a huge hassle, and on some systems, changing the username wasn’t even possible. We had to contact support or make a new account.This would have been avoided if there was a general email address that could have been transitioned to us. Absolutely the biggest problem we’ve run into with clients is when they delete the departing employee’s email address. Now, I’m not saying this is a bad policy. The problem is that if you can no longer receive email at a deleted address, you can no longer receive password reset emails. Resetting passwords becomes way more difficult. When you have a digital catch-all email address, you can start a password reset by clicking the “Forgot password” link on any account’s login screen. You’ll receive the reset email and can quickly reset each password. We have a client whose domain (the actual address of their website) was registered by an employee using their email address. That employee left the organization. When it was time to renew the domain, no one was receiving the emails that the credit card had expired. The domain eventually expired and the remaining employees didn’t have access to log in to the domain provider. The client chose to wait for the domain name to become available again so they could register it with a new account. Unfortunately they waited too long. A predatory business bought up the expired domain and offered to sell it back to them for a big premium, which they couldn’t afford. The site was down for 75 days, they completely lost their domain name, and they had to move their website to a different URL. Don’t let this be you. Don’t lose your domain name or hassle with your online accounts by trusting them to one person. 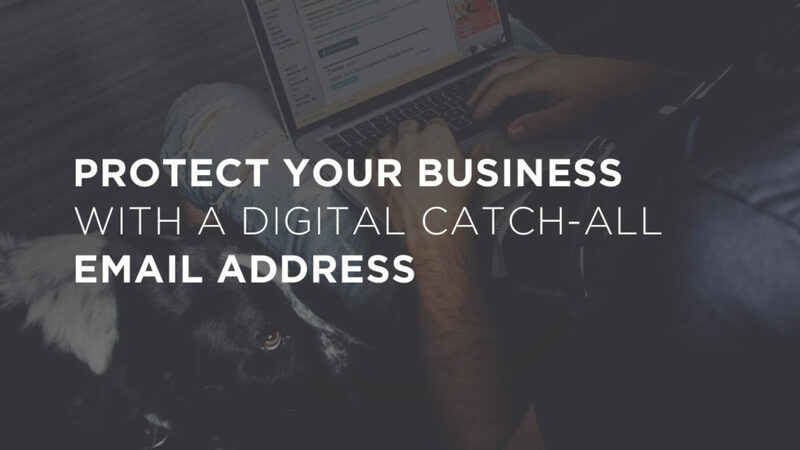 It’s not hard to protect your valuable assets by setting up a digital catch-all email address that is never deleted and easy to transition.